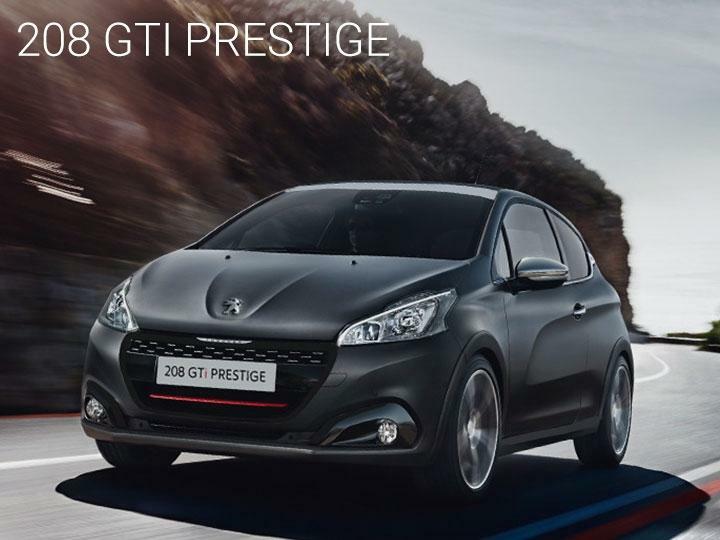 The 208 GTi Prestige packs sports performance and appeal with state-of-the-art connected technology. Exhilaration. Built In. 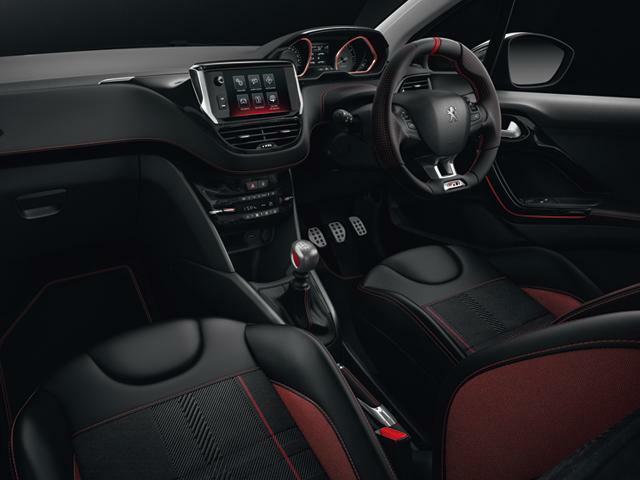 The 208 GTi Prestige comes in a range of vibrant colours to complement its 17” onyx black alloy wheels and unique ‘GTi’ grille with chequered flag design in piano black with chrome inserts. The GTi exterior styling is further enhanced with a sports rear spoiler; double chrome exhaust tailpipe; chrome door mirrors; body-coloured wheel arch extensions and unique GTi badging. Inside, there’s a panoramic glass roof with ambient lighting; heated seats; leather steering wheel & gear knob; and the sports seats are finished in full grain black half leather & caro cloth and embossed with the GTi logo to further amplify the luxurious feel to this hot hatch. 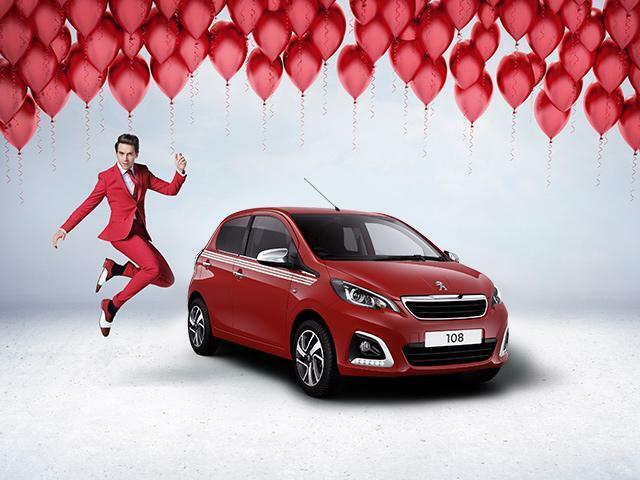 The sporty look carries through to the red LED instrument dial surround and red Peugeot lettering on the aluminium door sills. 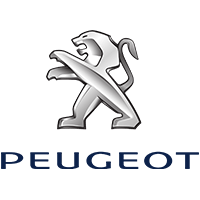 The Peugeot 208 GTi Prestige comes with a 7” multifunction colour touchscreen providing access and finger-tip control to the car's audio and communications equipment, including DAB Digital radio and Bluetooth® connectivity. In conjunction with a compatible iPhone, CarPlay® features Siri® voice control allowing phone calls, text messages, music and maps to be used while driving. MirrorLink® and Android Auto enables compatible smartphones to display apps on the touchscreen including maps, music, texts and voice control.